The bestselling Wee Sing line is now tailored for the most modern Wee Sing fans! 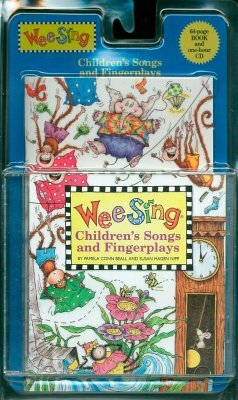 These eight classic Wee Sing titles are now in a great new package-a book and CD in a reusable blister! Susan Hagen Nipp received her Bachelor of Arts Degree in music and a minor in education from Whitworth College, in Spokane, Washington. She has taught high school English, and music on the elementary school level. She lives in Coeur D'Alene, Idaho, with her husband Charlie. They have two children. Pamela Conn Beall received her Bachelor of Arts Degree in music and a minor in education from Oregon State University. After college, she became an elementary school music teacher in the Portland area. she currently resides in Lake Oswego, Oregon, with her husband Ron. They have four children.